Desi Smith/Staff Photo. “Hands On” Some third graders from Veterans Elementary School visited the Maritime Gloucester Frday Morning. Maritime Gloucester works collaboratively with Gloucester Public Schools and hosts elementary school students for field trips where they learn about ocean life. Students rode aboard the Ardelle, pulled lobster traps, learned how to steer the boat and raised the sails. 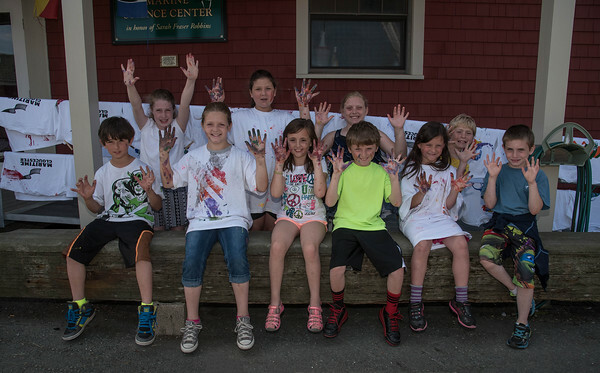 Students also made fish print t-shirts and were able to touch and be hands-on with some sea creatures that call the Maritime Aquarium their home.